Local Aid practices community awareness for the needs and aspirations of young people with special needs, and provides specialist care and logistic help with transport and equipment. 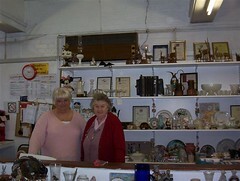 Swansea has three Local Aid shops and the Morriston location has a wide selection of furniture, household goods, bric-a-brac, books and clothing. By donating your unwanted, good-condition household items to Local Aid or other charities, you not only save landfill space but also support an excellent cause! All proceeds raised by Local Aid go directly to providing services for children and community special needs, such as: horse riding for the disabled; a buddy’s scheme; work experience; and training schemes. Charity Shops reduces pressure on raw materials, energy, and labour, and promote sustainable development. 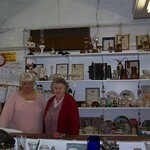 Our shops are run by a team of dedicated volunteers without whom we would not be able to operate. We rota the shop volunteers on a shift pattern of either 10am–2pm , 2pm–5pm although we are flexible to individual needs. If you do not want to man the shops, we are always looking for volunteers who are willing to help with maintenance and cleaning. There is always something to do in our shops. Goodwill Industries Serving Southeast Nebraska, Inc.
SC. X & Y Collection SRL.